At Lamp Hostel, our aim is to create a comfortable,friendly atmosphere for all our guests - a place where you will return once more and more... 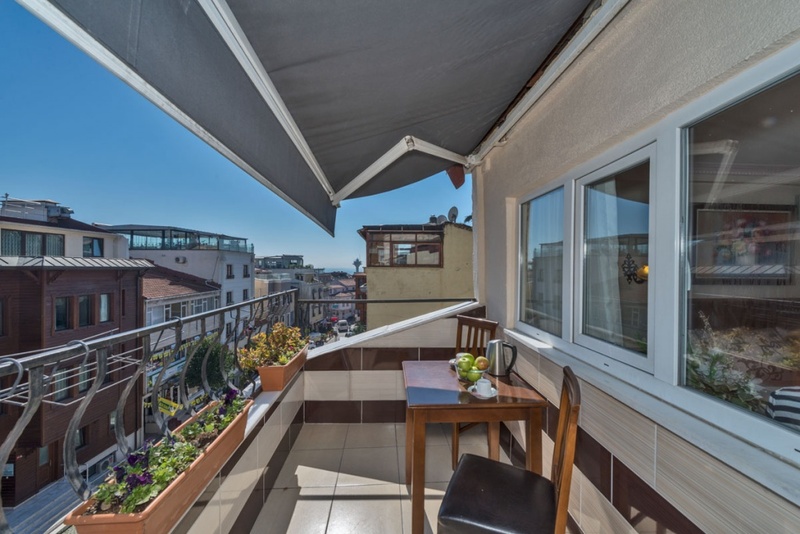 This tiny hotel is located in the Sultanahmet area in Istanbul . As the name suggests it,we welcom all our guests with! The room has with Blue Mosque view.And there are save box,air conditioning,kettle,TV,,fridge in the room. The is top floor and room has sea view and Blue Mosque view .There is bathroom,TV,save bax,fridge in the room. WELCOME TO LAMP HOSTEL ISTANBUL! A lot of beautiful lamps at the entrance of hostel. All our rooms are very pleasant,clean and cosy decorated with beautiful lamps. Each one of them is absolutely different from the others. 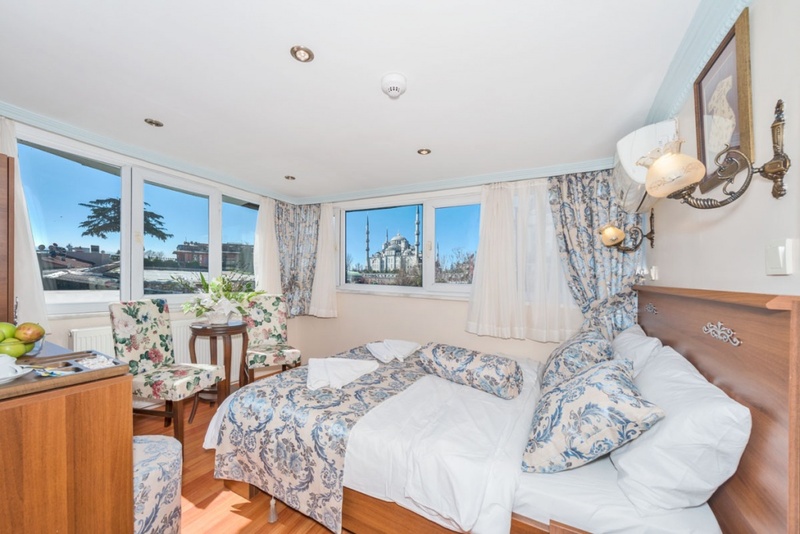 We can offer a selection of bedrooms as: SINGLE ROOM, DOUBLE ROOM as well as DELUXE WIDE TWIN ROOM. Breakfast is included in all rooms’ fees. Prices per night are reasonable, so everyone, from one person to a group,a family can enjoy staying with us. In the morning, enjoy your breakfast on terrace with cool air and veiws the beautiful blue mosque ,the Marmara Sea it's great! If you are lucky, you can even see a group of dolphins swimming around the Sea. At night, the views from this terrace are particularly marvellous and romantic. You can see Blue Mosque all lit up and the moonlight shining on Marmara Sea … Such a memorable experience! In addition, there is also the possibility of a 24-hour access to Internet from our terrace. We are located very close to the Blue Mosque. And Haiga Sophia, Topkapı Palace , Underground, Grand Bazaar and a lot of famous attractions are just a few minutes walk from Lamp Hostel. Of course you can also find a lot of wonderful restaurants, cafes, bars, gift shops etc. within easy reach. At reception stall, we can make reservations for shuttle bus services, belly dance show, restaurants, a tour to Cappadocia, to Ephesus or Pamukkale and to a lot of other cities in Turkey .Please feel free to ask us any time as we can customise your excursions to suit your needs perfectly. Furthermore,at the first floor of hostel Lamp shop always open for you to have a look at many exotic,beautiful lamps, candle lights, and small gifts. We also propose a Private Pick up service, which amounts to 25 EUROS per car (from 1 person to 4 people). Additionally, we can arrange long-term lodging for tourists, students, persons on a business trip and so on. We want you to feel like at home in a relaxing and comfortable atmosphere. We are looking forward to welcoming you to LAMP HOSTEL.